A nice example of a true vintage Ibanez rock guitar. This is the Walnut / Mahogany sandwich version. Condition: for it’s age this is in amazing condition for its age. There are various minor marks and scuffs but generally in very good condition. The ebony fingerboard looks excellent with hardly any wear at all. The frets are fat with loads of life left in them. Some minor signs of flattening a bit in places. The trem has been stripped down and fully serviced. The trem posts are showing signs of wear but look original. The saddles are bobbly and pitted with age related wear but fairing quite well for it’s age. In operation the trem seems to work very well and holds it’s tune about as well as any floyd seems to. 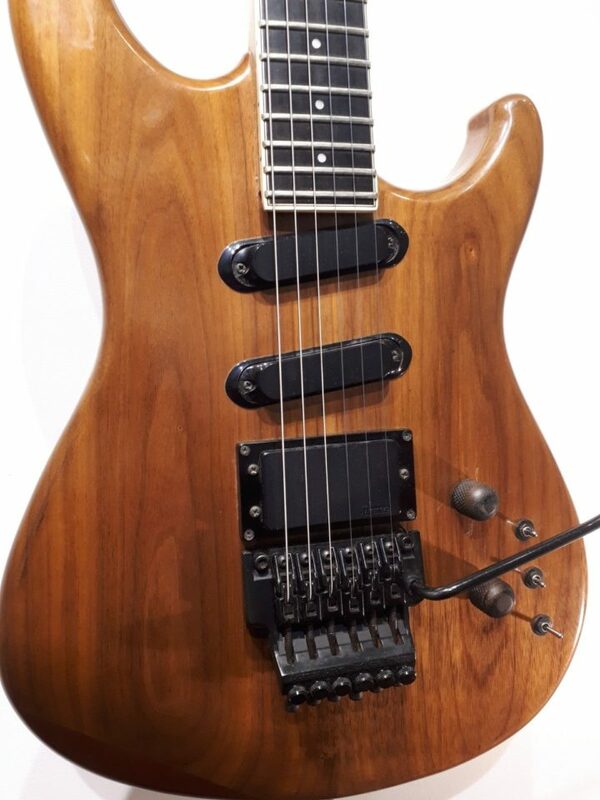 The PL1880 is a Pro Line series solid body electric guitar model introduced by Ibanez in 1986. 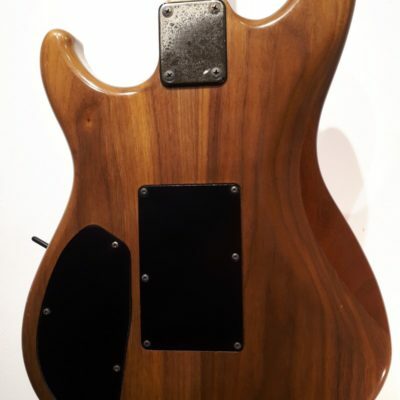 The PL1880 features an offset double cutaway mahogany body with rounded contours and edges and either a flamed natural wood top and back (NW model) or a walnut top and back (WN model). 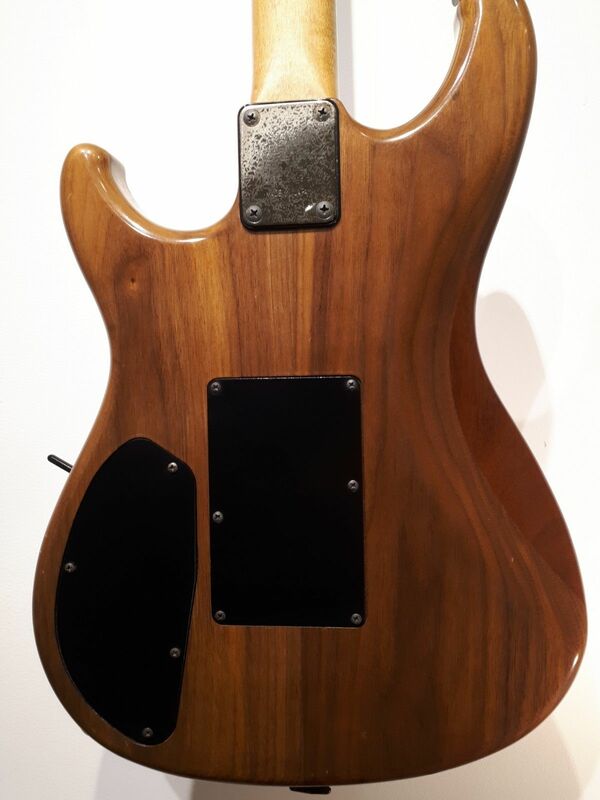 The body is bolted to a flamed maple neck with a 22-fret ebony fingerboard with sharktooth position markers. 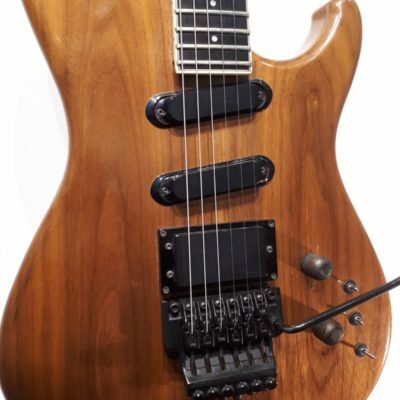 Components include Ibanez pickups with an IBZ triple-magnet humbucker at the bridge and Super 7F single coil pickups at the neck and middle positions and an Edge double locking tremolo bridge with a locking nut.